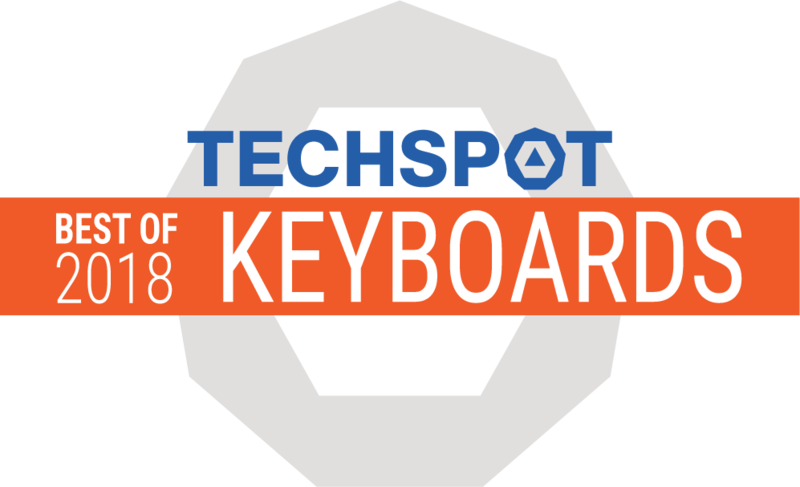 If you are looking for a wireless keyboard built specifically for the couch then you’re going to need an integrated pointing device in a living room friendly size. 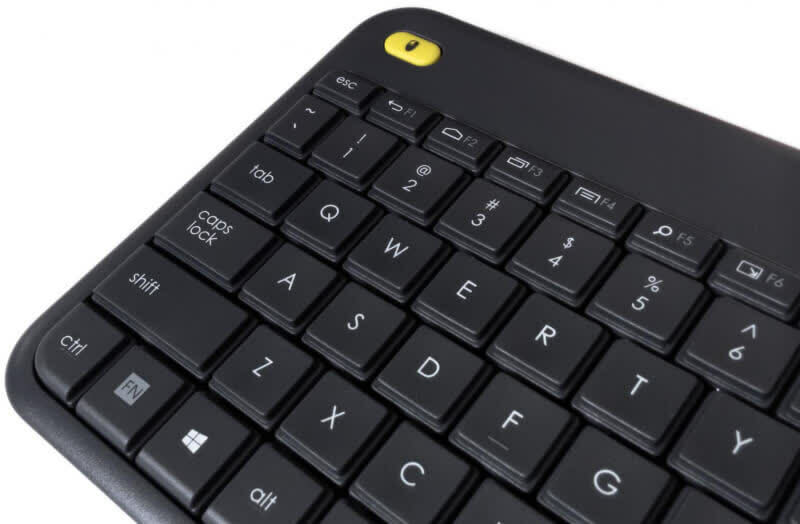 The K400 Plus may not have many bells and whistles but it accomplishes just that for an affordable $22. 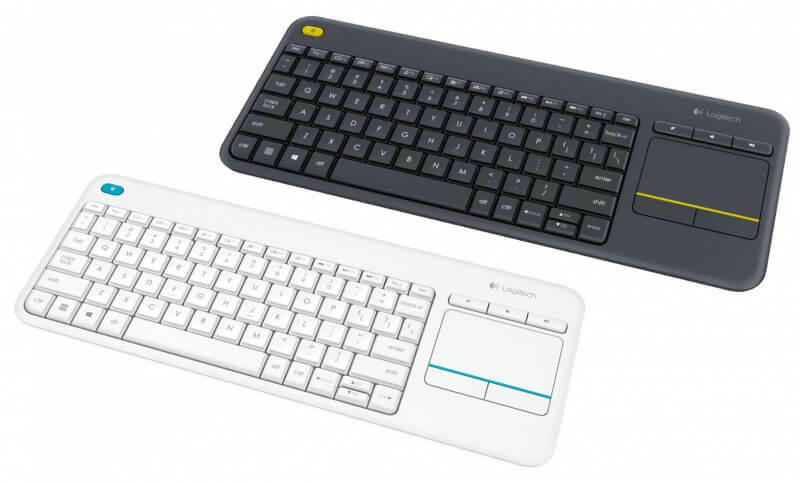 The Logitech K400 Plus is a wireless keyboard that can work on your Windows laptop, MAC computer, Android smartphone and even your smart TV. For £36 this is an absolute must for anyone with a smart tv, PS4, media streamer or living room computer. 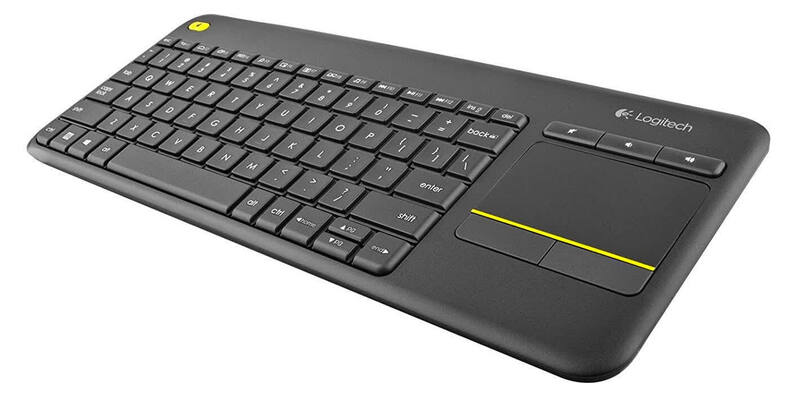 Navigation is awesome, and the convenience of a lap sized, light keyboard and mouse combo is great. 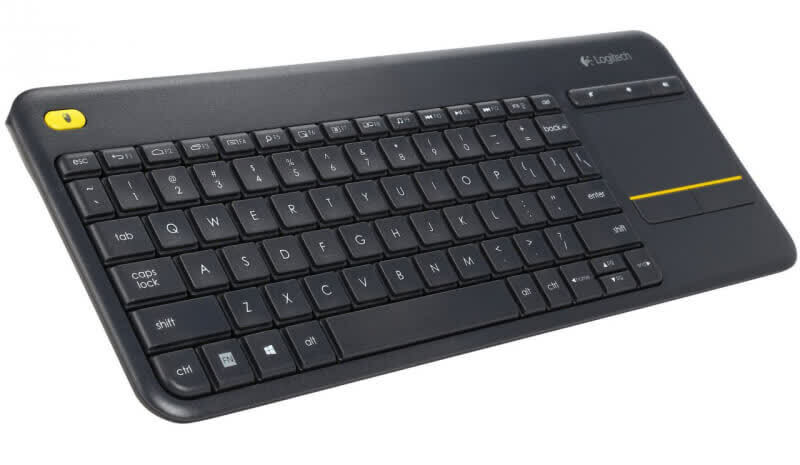 The Logitech Wireless Touch Keyboard k400 Plus is an excellent product and something that will be getting many hours of use in my home for years to come. It’s a must-have accessory for HTPC users and highly recommended for anyone who uses their computer as an entertainment device in the living room. 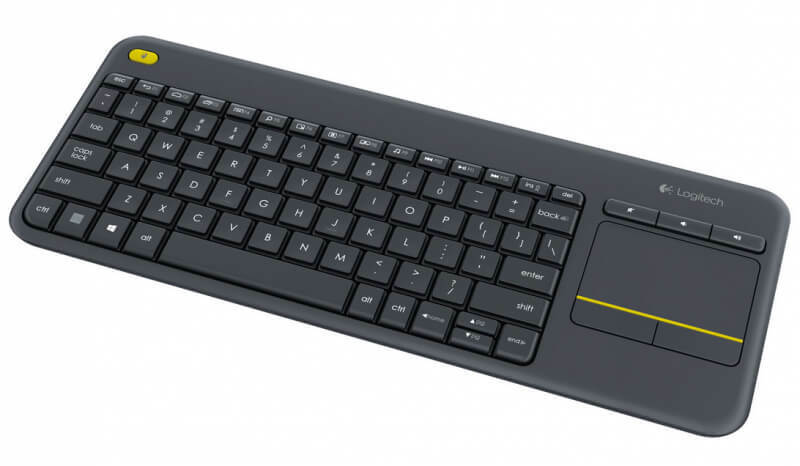 Convenient and easy to use, this peripheral is just what a HTPC user needs. 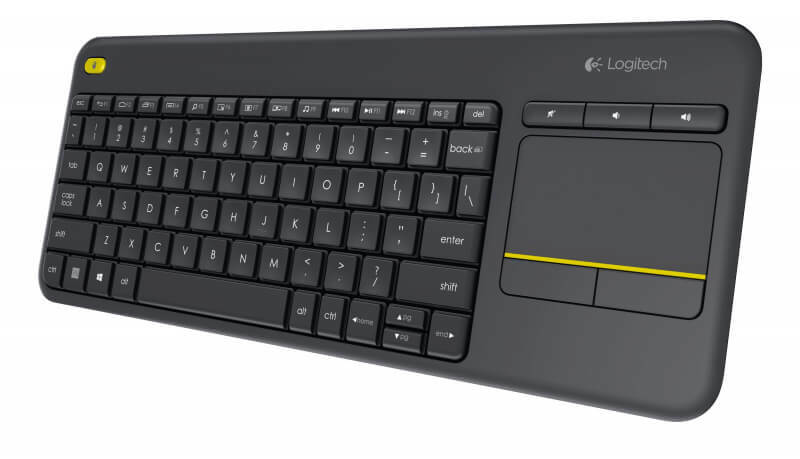 The Logitech k400 Plus keyboard is a suitable device for the living room PC. 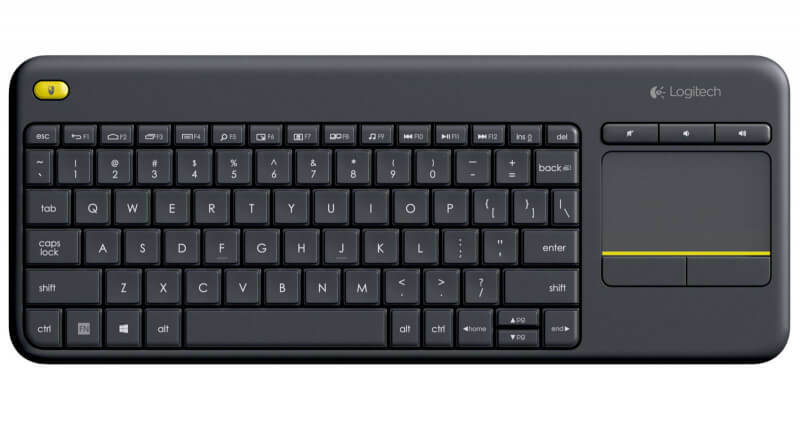 It solves the issues of using both a mouse and keyboard and performs well enough for those seeking this alternative to a remote. 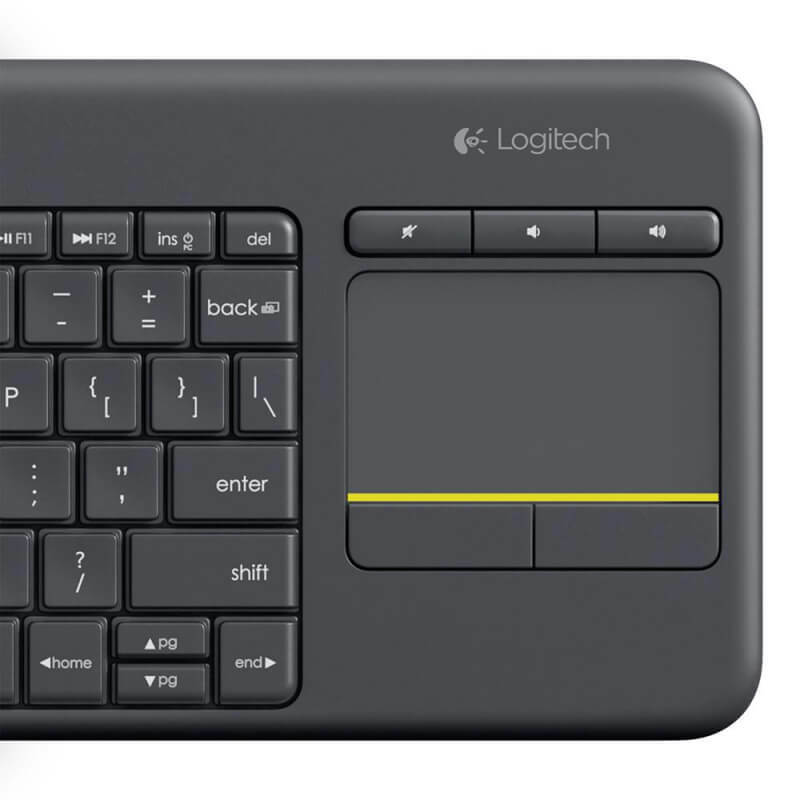 Logitech does offer different products like the TK820, which I reviewed a little while back, but for this $40 price tag it’s hard to beat especially with the feather-like weight.